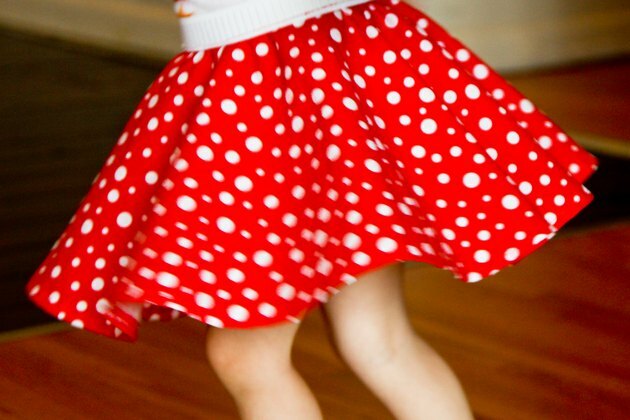 It's fun and easy to make a charming Minnie Mouse skirt at home, which can cost you a lot of money at a costume store. Typically, Minnie Mouse is shown wearing a red skirt with white polka dots. This kind of pattern can be found at a fabric store. 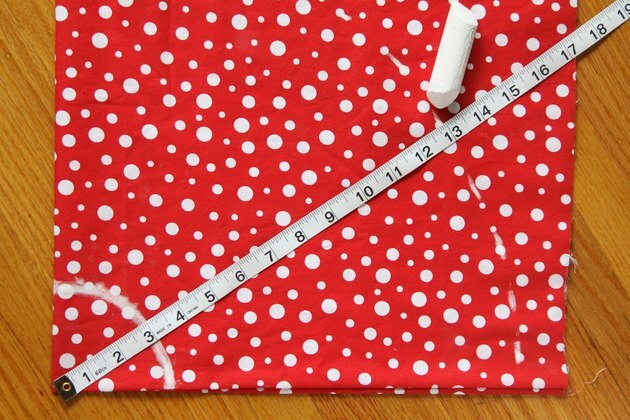 If you are making the skirt for an adult, 60 inches of fabric should be adequate; if you are making the skirt for a child, 45 inches should be sufficient. Measure your hips with the tape measure. Divide your hip measurement by 6.28 to determine the radius of your hips. 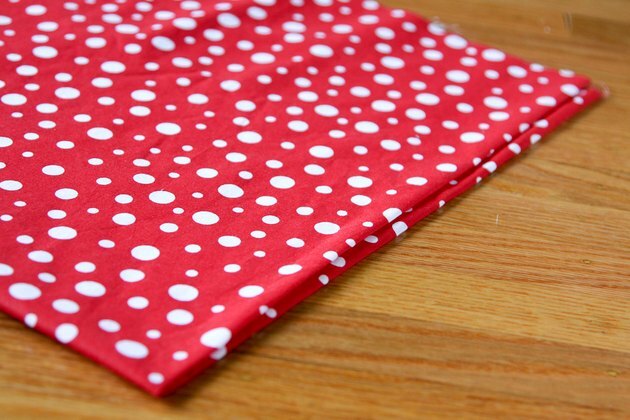 Fold the fabric along the crease (as it came off the bolt) and then fold it in half again, lengthwise. Take your hips radius measurement and measure this distance from the closed corner of the folded fabric and mark the spot with chalk. Do this several times at different angles until you have several marks that outline a curve around the inner corner. Connect the dots with the chalk. Take your hips radius measurement plus the desired length of your skirt and measure from the closed corner of the folded fabric and mark the spot with chalk. Do this several times at different angles until you have several marks that outline a curve. Connect the dots with your chalk. Cut along the two lines you created. The smaller curve is the circumference of your waist while the larger curve is the hem of your skirt. 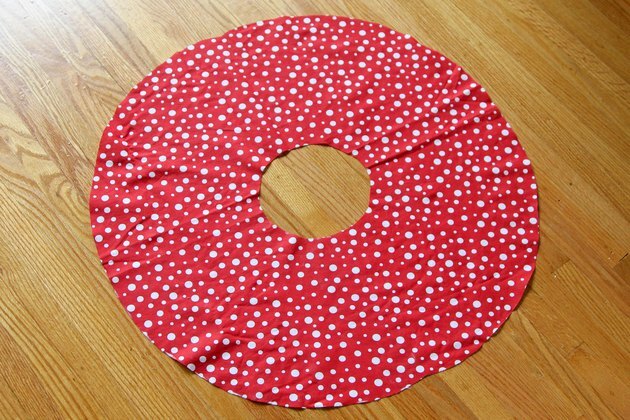 When you unfold the fabric you should end up with a circular piece with a smaller hole in the center, like a doughnut. 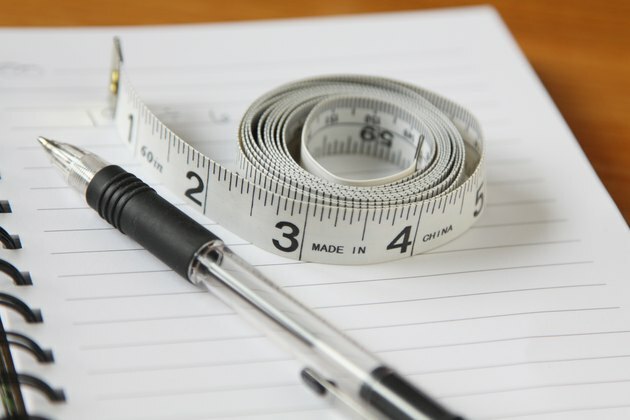 Cut a piece of elastic that is the length of the circumference of your waist. Pin the bottom of the elastic to the top of the smaller hole that you've created. Since the elastic is the length of your waist, and the hole in the fabric is the size of your hips, there will be extra fabric. Make sure to pin the extra fabric to the elastic evenly as you go. Sew the bottom of the elastic to the fabric. Hem the edges of the skirt. 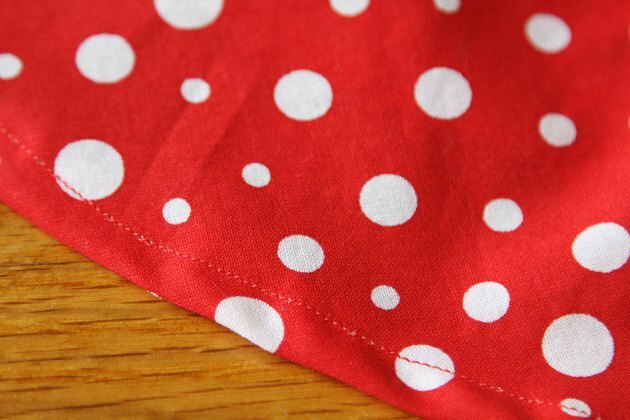 If you cannot find the appropriate fabric, you may make the skirt out of plain red fabric and sew on small circles of white fabric to create the same effect. 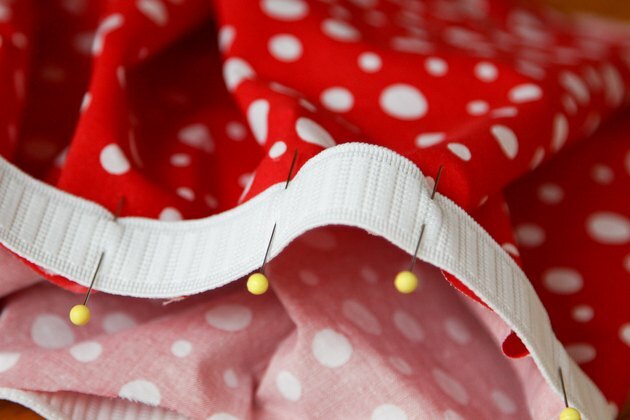 You may want to create a lining for you skirt by cutting a similar piece of lining cloth a few inches shorter than the length of your skirt, and attaching it to the elastic. When you are measuring your hips, make sure to keep the tape a little loose so that the skirt is not too tight.